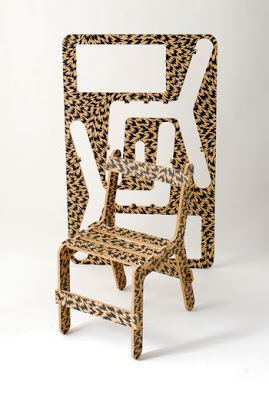 Reminiscent of childhood wooden airplane models, the Adult Flash Chairfix is a modern furniture creation by Eley Kishimoto in collaboration with Ben Wilson that ships as one sheet of pop out pieces to be put together into a working piece of artistic furniture by the customer. The build it yourself chair is a nice playful touch in an industry that is often a bit too stuffy to take serious. A breathe of fresh air, we can only hope to see more of these fun furniture collaborations in the future. 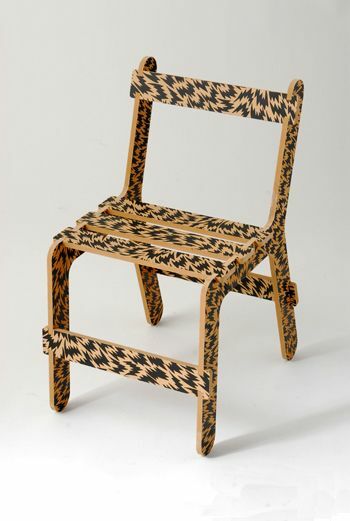 The chair assembly kit is currently available from the Eley Kishimoto web store for around $170 USD.